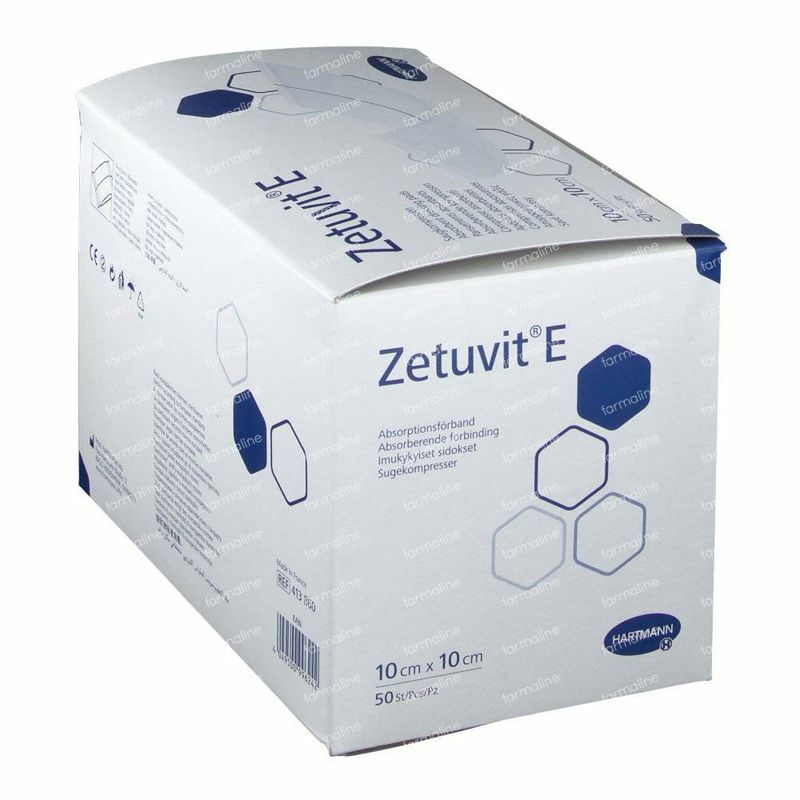 Hartmann Zetuvit E 10 x 10cm 413860 50 pieces order online. 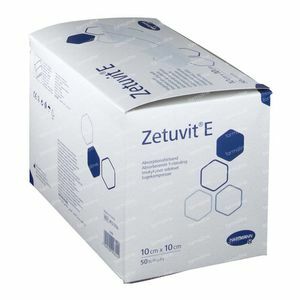 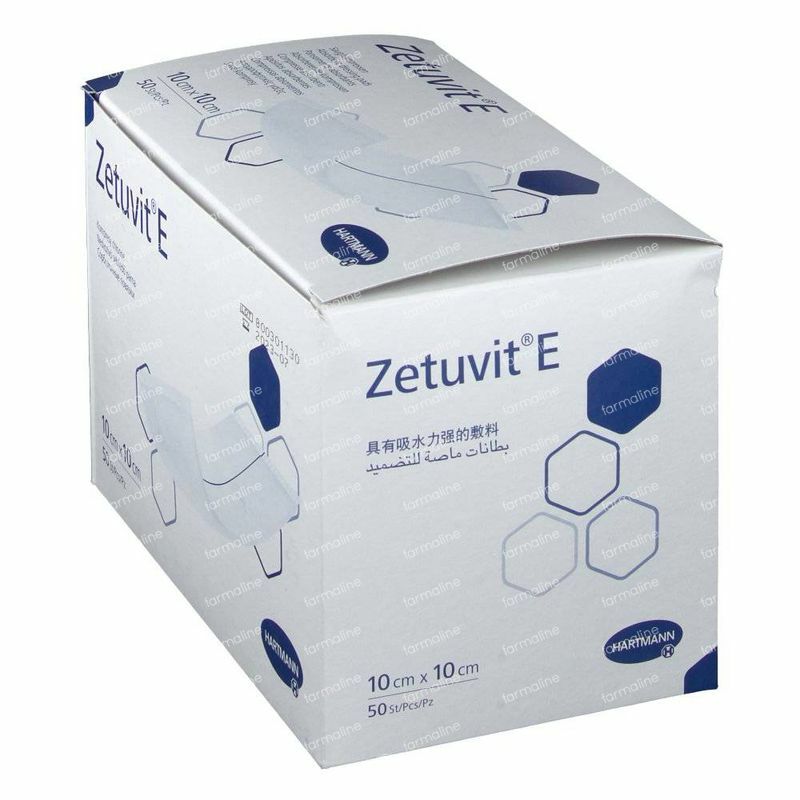 Zetuvit E is a non-irritant absorbent dressing pad. 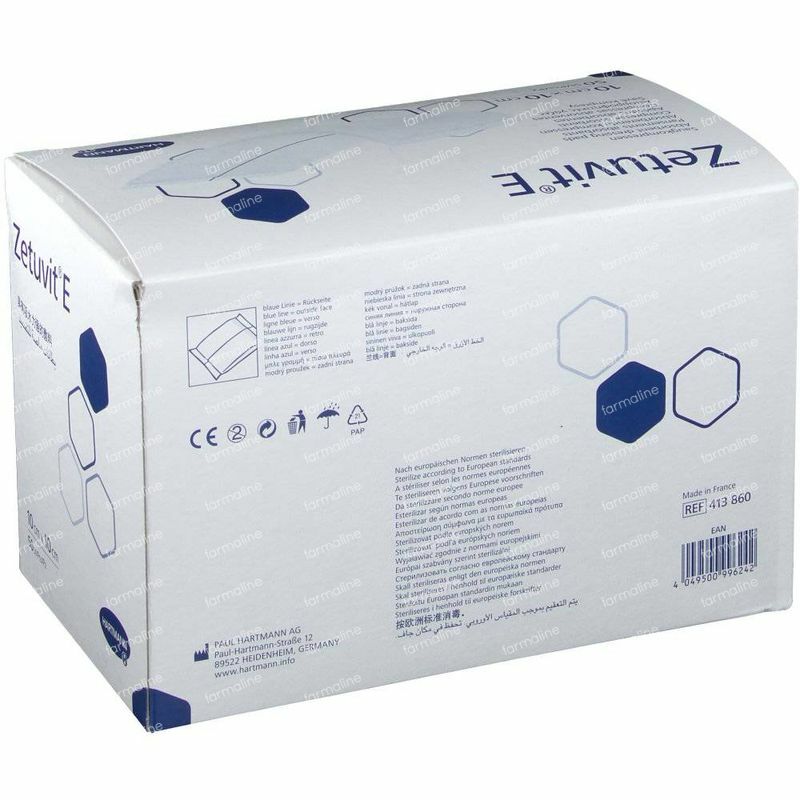 The covering layer consists of hydrophobic, non-woven polypropelene material. 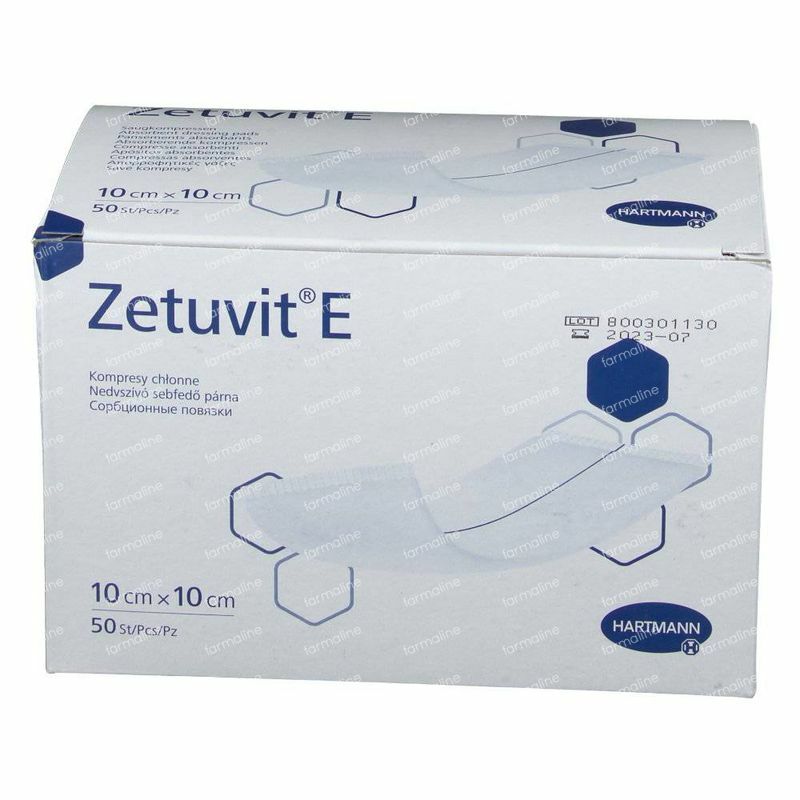 The dressing itself is made up of a highly absorbent fluff filling, fluid dispersing tissue and a hydrophobic tissue backing which acts as a barrier to protect the wound from contamination. The dressing should be worn with the blue backing upper most, facing away from the wound and is available sterile and non sterile.